What sets 2020 apart from the other management consulting and M&A advisory firms is that we come from the environmental industry, as former C-Suite executives of some of the largest C&E firms in the world. The business of the environment is our only focus and our goal is to now help the next generation leaders create growth and value to their environmental enterprises. As the Founder and CEO of 2020 Environmental Group, Al provides environmental and engineering companies with new insights to growth and shareholder value. Working with CEOs, Founder/Owners, Boards, and Private Equity investors, he advises on strategic growth for entering new markets and geographies, financial and operational performance, ownership transition, and mergers and acquisitions. Since founding the company in 2010, Al has advised over 60 environmental and E&C firms across North America, Canada, UK, Europe, China and Australia, and served as the sell- or buy-side M&A advisor on 20 M&A transactions. Prior to 2020, Al spent 38 years managing and building some of the largest environmental and engineering firms in the world. 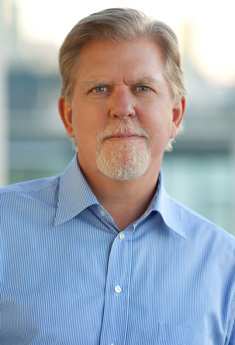 This included as SVP and Managing Director for Entrix (now Cardno), where he was brought in by Entrix's private equity owners to turn-around operations and position the firm for its exit strategy. In five years he doubled revenues and profits, with an EBITDA of 26%, and helped position Entrix for its sale to Cardno, delivering a 300% ROI to its internal shareholders. Previous positions included Corporate Vice President, Strategic Development, for URS/Dames & Moore, where he led growth initiatives in Europe, Russia, Africa, Australia and Latin America. He also served as Division Vice President for Ogden Environmental and started his career with CH2M Hill. Al's international work has taken him beyond National Geographic spanning more than 28 countries in five continents, from the steppes of Siberia to the white sands of the Sahara, Caspian Sea to the rainforests of Brazil, Southeast Asia, Australia and nearly every country in Europe, and most recently to the dynamic economy of China. He currently serves as an outside Board of Director at Environmental Science Associates (ESA), a $100 million national environmental firm, and previously as a Board Director to McMillen Jacobs. Al attended Stanford University Graduate School of Business Executive Programs, received his M.S. in Environmental Engineering from Stanford, and B.S. in Biology from Lakeland College.